Deciding where you want to build your dream home might seem like an easy task, but in reality, there are many things that you need to consider. Something that may not even cross your mind right now could become a major irritant down the road. The first thing you have to decide is what type of area you want to live in. Rural, suburban, and urban areas are all going to offer something different and come with their own positive and negative features. Check out schools, restaurants, your commute to work, and whatever else may be important to you. If you plan on staying here awhile you want to be sure it has everything you need. Look at recent fluctuations in property taxes or fees. Research whether or not local budgets are expanding to build schools, install new utilities, or add or increase emergency services. 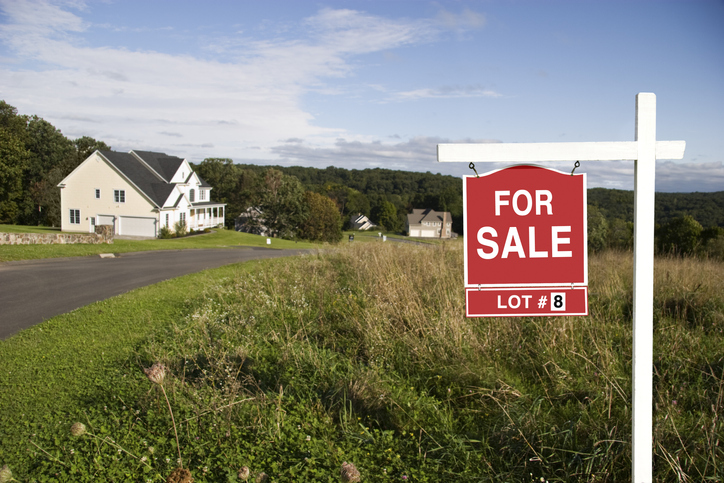 If you’re taking out a loan, bear in mind that lenders often take on a bigger risk when they finance land. Therefore, they will not only review your credit history, they will also evaluate the ease with which they can get their money back in case you default on your mortgage payments. With that in mind, be prepared to make your case as a good credit risk. This is very important for people whose dream house and property involves renovations or expansion. Be absolutely certain your blueprints and future ideas adhere to subdivision guidelines. How do you envision your property? If you plan to use your property for practical or productive purposes, it is essential that build in a place that will help you fulfill your goals. If you want to grow a garden, look for a piece of land with the best soil and gets the best sunlight. If security and privacy are uppermost, pick a spot in a cul-de-sac or a lot with plenty of trees. Many people look to their dream home as something that will accommodate their future needs. They may want to raise a family, for example. Or accommodate elderly parents in the future. So it’s important to think about how a home may fit your needs through the years. Can your home be easily renovated to accommodate the future construction of wheelchair ramps or building an extra room on the ground floor? Will you get a good return on your property once you sell it upon retirement and move into a smaller or more economic retirement home? No matter where you ultimately decide to put down roots, having a qualified, knowledgeable real estate consultant can make all of the difference in the world. The worst thing many people do is try to deal with the entire transaction themselves without the help of a professional. If you need help finding that perfect location, you need the Hunter Real Estate Group. Call (713) 572-0824 today or send an email to trace(at)hunterrealestategroup(dotted)com.